In a country that is often plagued by natural disasters like earthquakes and typhoons, property developers have to learn to adapt to extreme weather conditions. This is why Chief Executive Romolo V. Nati and President Jojo D. Leviste of Italpinas Euroasian Design and Eco-Development Corp. (ITPI) put up their company. 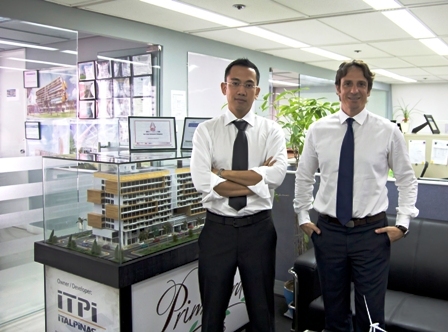 Established in 2009, ITPI is an Italian-Filipino firm that designs and develops sustainable properties nationwide, among them its flagship project in Cagayan de Oro called Primavera Residences. Nati and Leviste joined the Philippine real estate development business wanting to offer something different to the market: beautifully designed properties that reduce impact on the environment.